For some reason, I had a hard time sleeping at my in-laws house. I fell asleep pretty early, then was up for several hours. I got some blogging done to get caught up after our weekend in Chicago and I got some TV watching in, but I was getting hungry at three in the morning. Now, being in the Chicago suburbs, I actually had several options for food at this time of night. There is an Italian beef/gyro place right down the road from my in-laws as well as a couple 24-Hour family restaurants. After all that thinking about food, I didn’t leave the house. I went back to bed…but first, I opened a website on my Mother-In-Law’s computer to plant a seed for lunch. 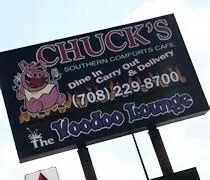 The site I left open was for Chuck’s Southern Comforts Cafe on 79th Street in Burbank. A few years ago, I stopped at the previous incarnation of Chuck’s on 79th and Central. 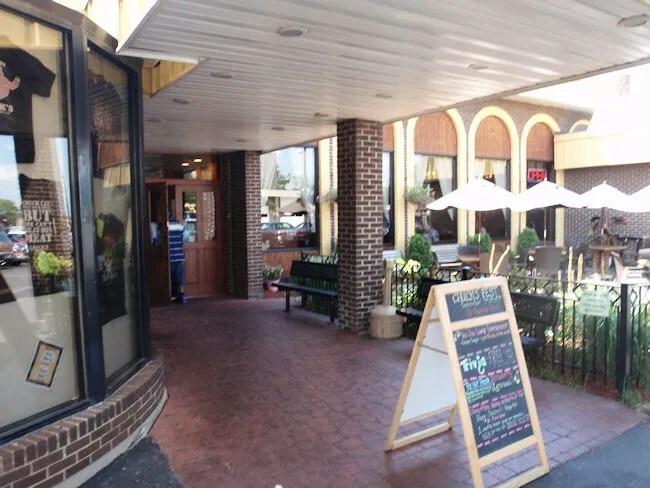 Since that stop in 2008, Chuck’s has grown quite a bit and moved down the street. They’ve been featured on several television shows (including Diner’s, Drive-In’s, and Dives). 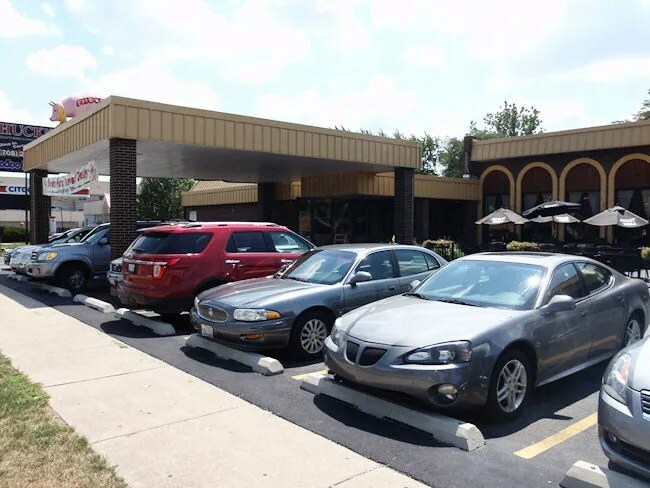 The popularity of the restaurant in the Chicago area is pretty amazing. My in-laws have tried to stop for breakfast before and couldn’t even get in for that. The website suggests reservations if you’re looking to eat in. My subliminal advertising worked. When I rolled out of bed, J and her mom asked if I wanted to eat at Chuck’s. Of course I did. We decided to do carry-out because we didn’t want to have L out of the house too long. We were meeting my family for dinner about an hour south of Oak Lawn and we didn’t want to overstimulate L at lunch. J’s mom pulled out her notepad and wrote down the order before calling in. J and I stuck to what we like best. We both got the pulled pork sandwich which comes with two sides. J got hers Memphis style with slaw on it and we both got the hot BBQ sauce. J’s mom ordered what she likes best, the brisket sandwich. Between the three of us, our sides included mac ‘n cheese, french fries, baked beans, and cole slaw. 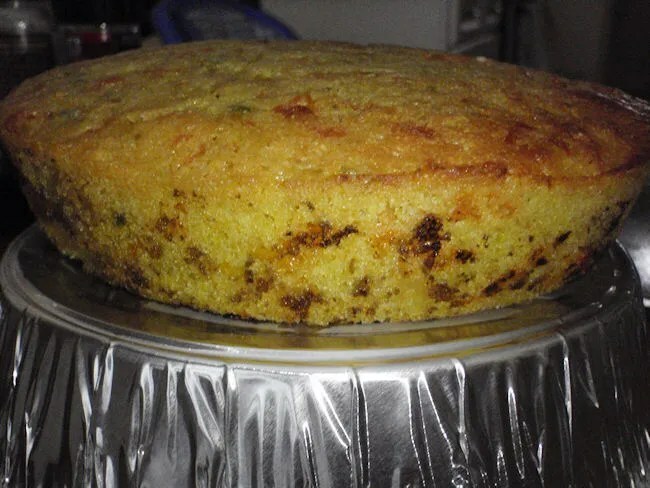 We also got an order of Jalapeno-Cheddar Corn Bread. The restaurant was about twenty minutes away from J’s parents and that’s about how long the order would take. I pulled in to the parking lot to find almost every space filled….for lunch……on a Monday. Once inside, I went to the hostess stand and told her I had a to-go order. She pointed me to a cash register right behind her where they had the order on the counter ready for me. The bill for the three meals was just over $30 which I paid for with cash. On my last trip to Chuck’s four years ago, I remember really liking the BBQ, but not really liking the sides. 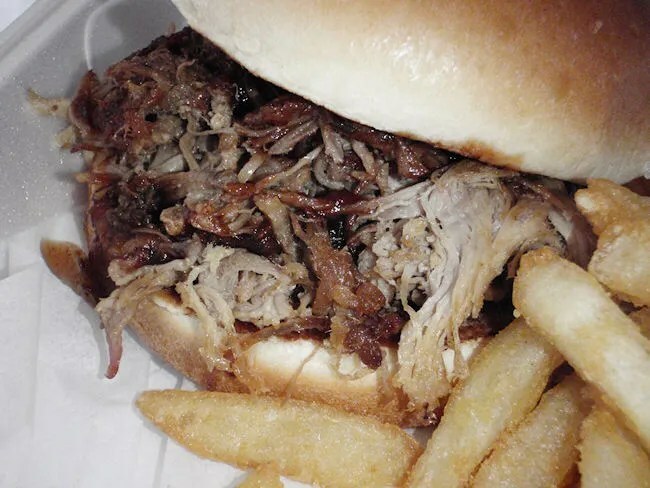 The juicy, hickory smoked pork is piled on a pretty standard white bun with very little sauce. I like my pulled pork sandwiches to come to me without much sauce, but I do like a little extra on the side. J’s a big sauce fan so she was a little disappointed with the amount on her sandwich. She took a few bites so she could taste the hot BBQ sauce that did come on it, but eventually, had to get up and get a bottle of Stub’s out of the fridge. I was fine with the amount of sauce on my sandwich. It really lets you enjoy the smokiness of the meat. My sides were much better on this trip than the previous. Last time, the fries were undercooked and I called the mac ‘n cheese “bland.” This time, the battered fries were crispy and golden brown. 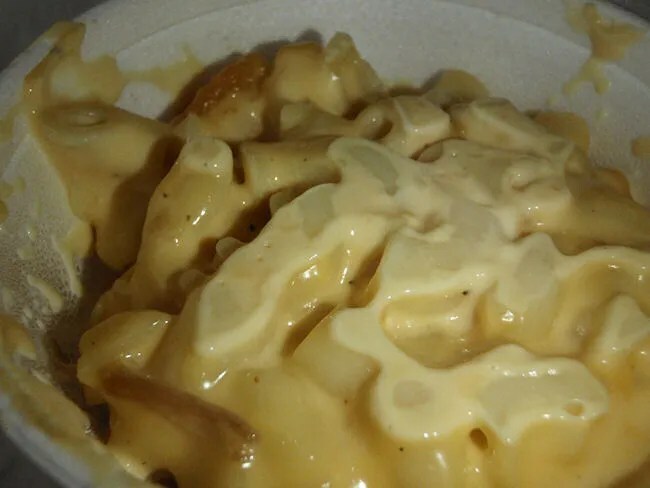 The mac ‘n cheese was creamy and cheesy. J said her beans tasted under done, but her mom didn’t seem to have the same problem. J used the sauce in with the beans to dunk her sandwich in so she got a little more of Chuck’s sweet BBQ sauce. Before we got to the sandwiches, we started with the corn bread. The buttery bread had a deliciously spicy bite to it. I think all three of us really enjoyed this selection off the appetizer menu, but we really couldn’t wait to dig in to our sandwiches. Chuck’s Southern Comforts Cafe was both a hit and a miss again this time. The BBQ is so good, but J could have used more sauce and she wasn’t wild about her beans. I was happy with my meal which only could have been better with something other than a boring white bun. Despite a few complaints, Chuck’s is still delicious BBQ.